Huawei has announced that it’s all new stylish Matebook 2-in-1 will hit the US market on July 11 and its price starts at $ 699. This sleek Matebook has a 12-inch IPS TFT LCD screen with a resolution of 2,560×1,440. 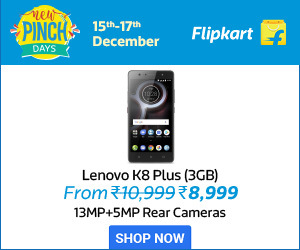 The device is powered by a sixth generation Intel Core M-series processor. 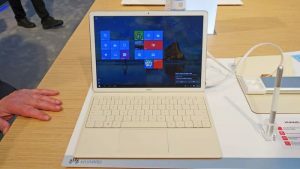 The sleek and stylish MateBook tablet was first show cased at CES 2016. The device which combines the iPad like body design and the Microsoft’s Surface Pro 4 is now available for pre-order. The basic version of the system packs an Intel core m3 processor with 4GB of internal memory and 128GB solid state drive. And the device with configurations, Intel Core m5 4 GB RAM & 128 GB solid state drive will be available at $849. While devices powered with Intel Core m5 8 GB/ 256GB and 8GB/512 GB will be made available at $999 and $1,199 respectively. The MateBook Keyboard case costs $129 is extra and the Huawei MatePen costs $59, and the portable MateDock costs $89.According to PCWorld, the MatePen has 2,048 levels of pressure sensitivity, a built-in laser pointer and a presentation clicker button. The MateDock has an Ethernet jack, HDMI port, two USB 3.0 ports, VGA accessories and a pass-through USB-C port for charging the tablet. Well, the device is just 0.27 inch thick and weighs 1.4 pounds. The backlit keyboard of the device is supported by an internal metal framework and the keyboard case includes a stand for propping the tablet up like a Laptop. The elegant device is available in two classy colors gray and gold and you can also choose keyboard of your choice among four available colors. The Chinese company is now making a serious way in to the US market with these stunning Matebook 2-in-1 like devices. 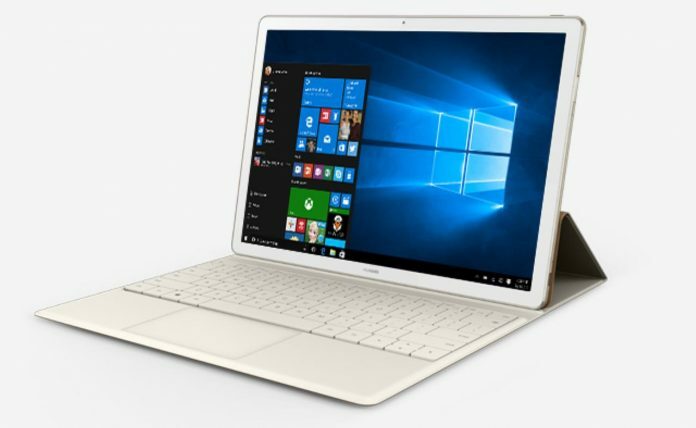 You can now pre-order your Huawei Matebook at Microsoft store.